The 1.5V AA Sony Ultra Heavy Duty Carbon Zinc batteries we’ve got for testing here are marked with a code SUM3-NUB4A on their box, they are under warranty until 03-2015. We could not find specifications for these batteries provided by Sony, the only thing Sony does is to say that they are: “Ideal for use in low drain applications such as remote controls, torches, toys, calculators and radios”. And don’t be fooled by the Heavy Duty in the name, with Zinc-carbon batteries this usually means you get the slightly better version and not the the lower capacity ones, however even these are performing worse than standard Alkaline batteries. Zinc–carbon batteries are the least expensive primary batteries (single use ones) and are intended for low current drain applications. These batteries are getting harder to find as they are mostly being replaced by Alkaline batteries (slightly more expensive and better performing), however you can still find slightly cheaper Carbon Zinc batteries mixed among Alkaline batteries in a store, so you should be careful when choosing based on your needs. For higher drain applications it is advisable to consider Alkaline or even NiMH batteries over Zinc–carbon ones. The Power Profile test checks how the battery handles different current loads before it reaches the cutoff voltage, the test starts at 0A and gradually increases with steps of 0.05A each 20 seconds, until it the cutoff voltage of the cell is reached (0.9V in the case of Zinc-carbon cells). In the case of the 1.5V AA Sony Ultra Heavy Duty Carbon Zinc batteries when a current load of 0.55A is applied the battery’s voltage quickly drops to the cutoff value, meaning that the battery is unable to handle such high current loads. As expected the Zinc-Carbon batteries are not able to handle higher current draw as good as Alkaline batteries for example as they are intended for lower current drain applications than Alkaline. The Open Circuit Voltage (no load voltage) of the 1.5V AA Sony Ultra Heavy Duty Carbon Zinc batteries is 1.62V, though under load it quickly drops to 1.5V or lower depending on the current load of the battery. We are testing all Carbon Zinc as well as Alkaline batteries with a constant current discharge rate of 0.1A, 0.2A, 0.5A and 1A and measuring what capacity they can provide at these levels. As expected from a Zinc-carbon battery the capacity you can get under low current load is decent, but as you increase the load the useable capacity drops quite significantly. 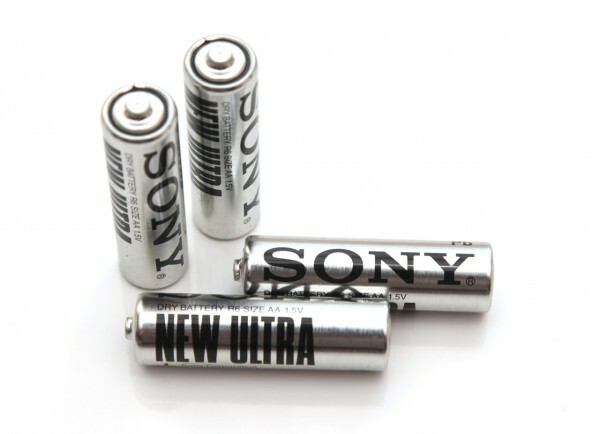 So the 1.5V AA Sony Ultra Heavy Duty Carbon Zinc batteries may not be bad as long as you are using them only for the right things – devices with low power requirements. answer me please about 1.5V AA Sony Ultra Heavy Duty Carbon Zinc Battery , I would like to cooperate with you.